Is it possible for a salesperson with average results to ascend to the top of the rankings? The answer is YES! Not only is it possible, but it’s being done every day. This book shows you how. It comes down to this concept: our belief controls our behavior, and our behavior creates our results. The level of our mental toughness does more to attract or retreat success than any other factor. Applying Mental Toughness principles was the solution for me, and my business partner Steve Siebold is the expert on this subject. Our past clients include Johnson & Johnson, Pfizer, GlaxoSmithKline, Toyota, Allstate, and Miller Brewing Co. to name a few. 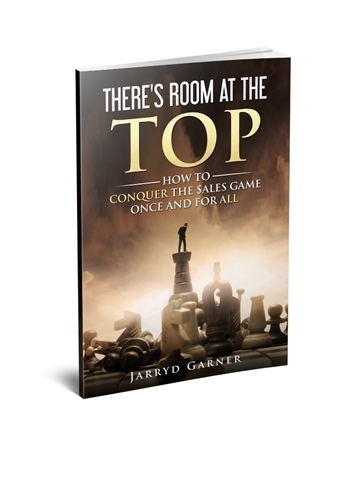 Jarryd is an Accelerator of Sales Results, and is a business partner of Steve Siebold. His team’s work has been featured on the Today Show, Good Morning America; and in the Wall Street Journal, Business Insider, Forbes, and Fortune Magazines. One of our former clients was an executive at Johnson & Johnson, and while he took his team through our program, they won President’s Club several years in a row. Results data collected from over 200 corporate clients and 35,000 graduates across 10 countries show the biggest benefits to be increased sales; an enhanced ability to function during organizational change; and increased retention rates combined with elevated engagement scores and overall job satisfaction.